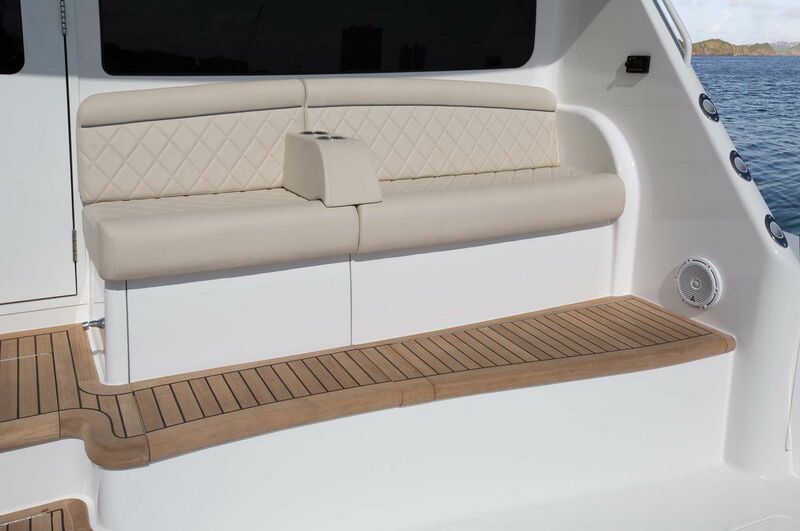 The Viking Yachts 44 Convertible made its much-anticipated debut at the 2018 Miami Yacht Show to an enthusiastic crowd. 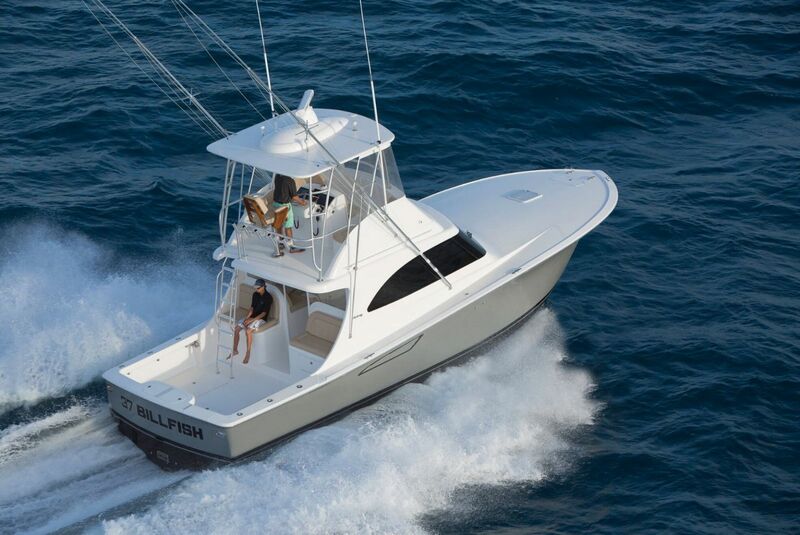 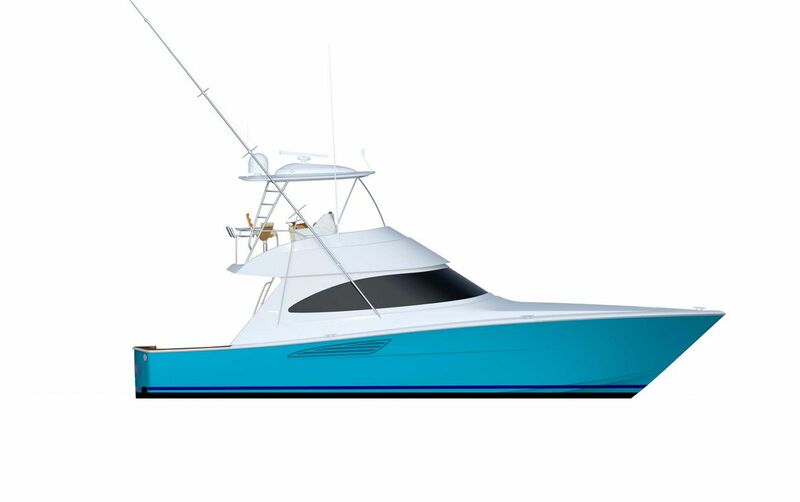 While lauded as a serious billfish tournament contender, the 44C also has plenty of cruising features that add a level of home-style comfort to any extended journeys owners may enjoy. 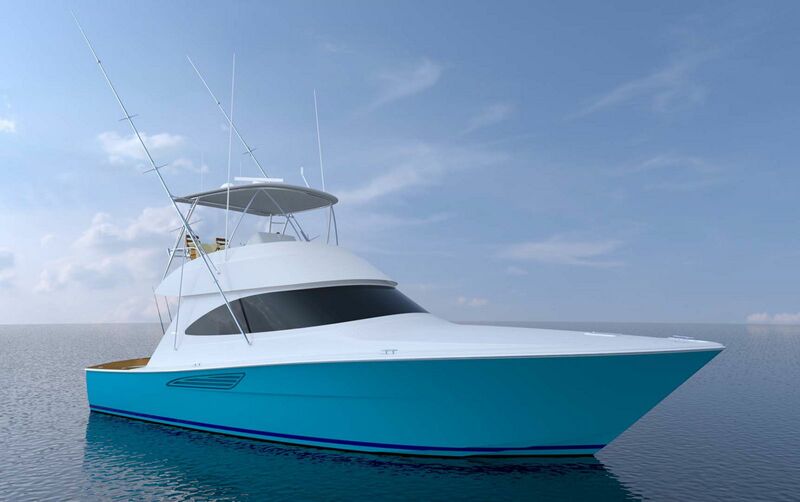 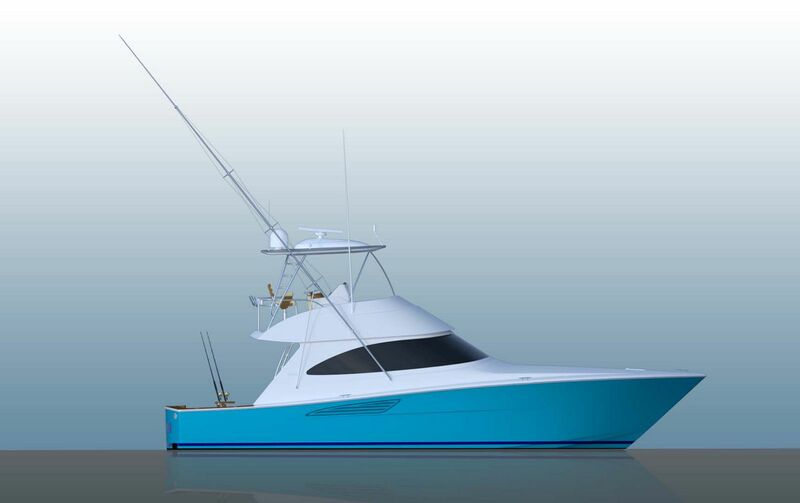 Perfectly situated between the 37 Billfish and the larger sibling, the 48 Convertible, the new 44C offers anglers a high-performance fishing machine capable of running to the canyons during the frantic paces of a fishing tournament. 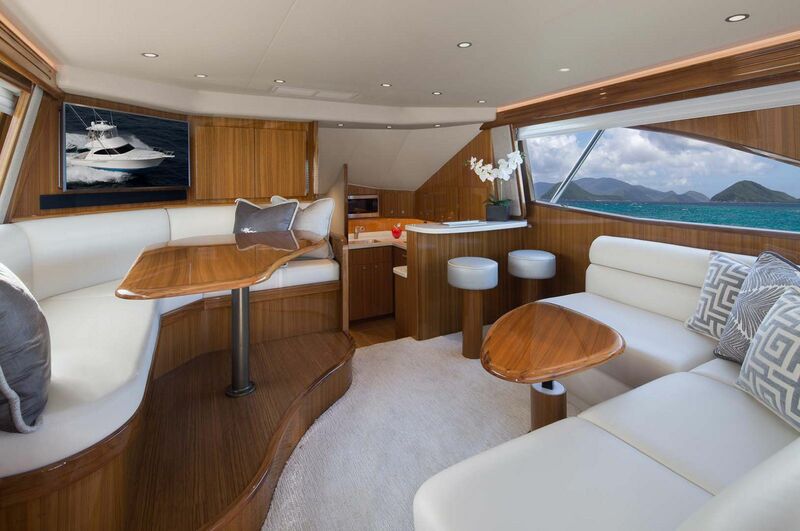 Yet the accommodations in the massive salon and the expansive deckhouse provide an oasis of air-conditioned comfort when boating in harsh conditions. 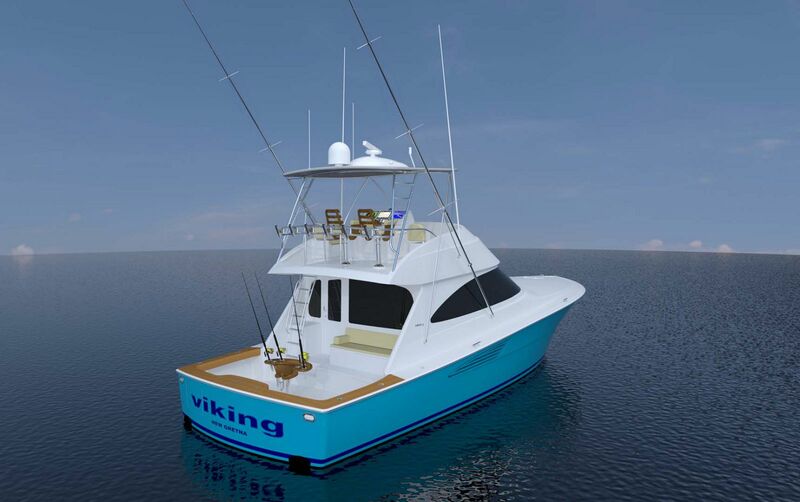 If the new Viking 44C is your first time considering a Viking, we recommend reading "Your Resource Guide To Owning A New Viking Yacht." 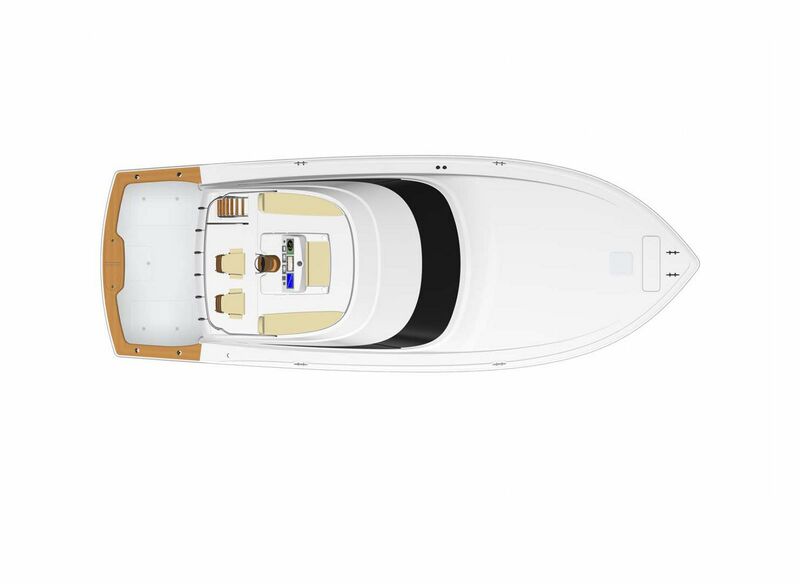 At 119-square feet, the cockpit on the 44C offers more room than other sportfish in its class and it certainly comes equipped with more standard features. 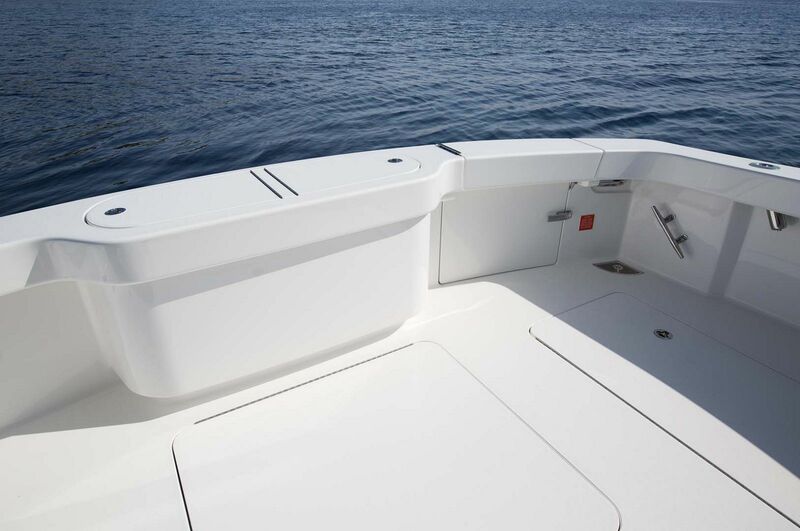 Within reach in the cockpit is a transom livewell, a transom door that includes a lift gate, plenty of tackle and bait storage, cooler, an in-deck fish well, and a fresh water rinse down station. 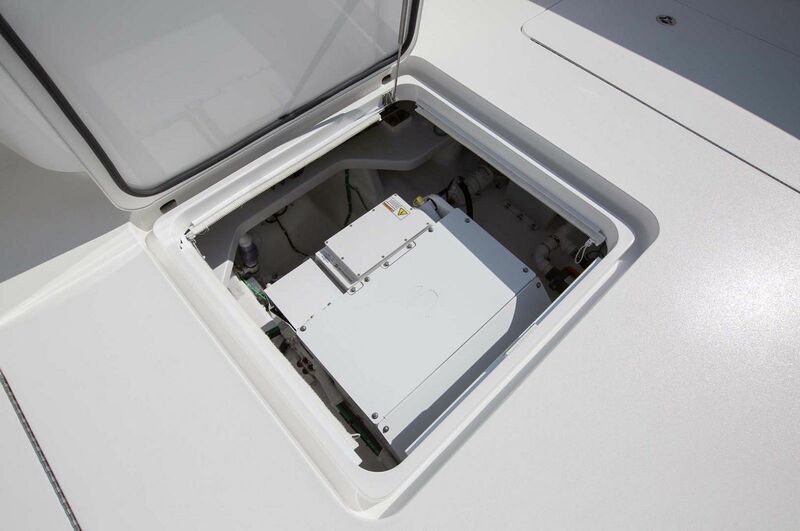 And don’t forget the extra space included for the Seakeeper Gyro Stabilizer built into the deck. 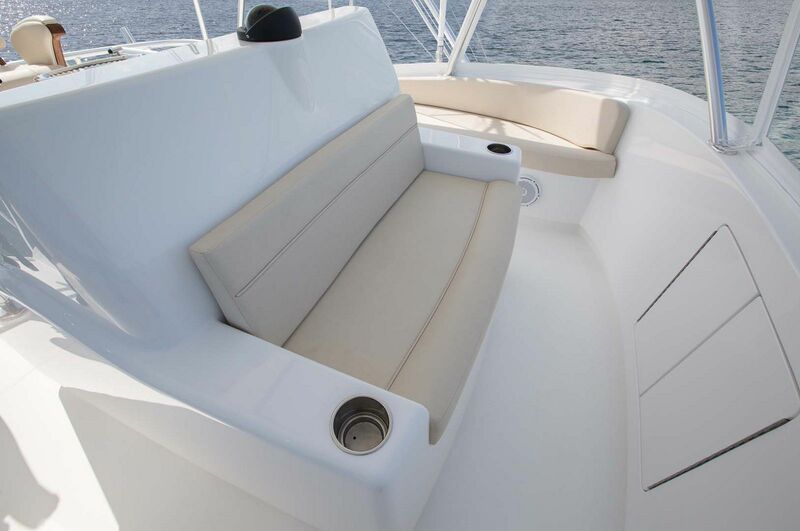 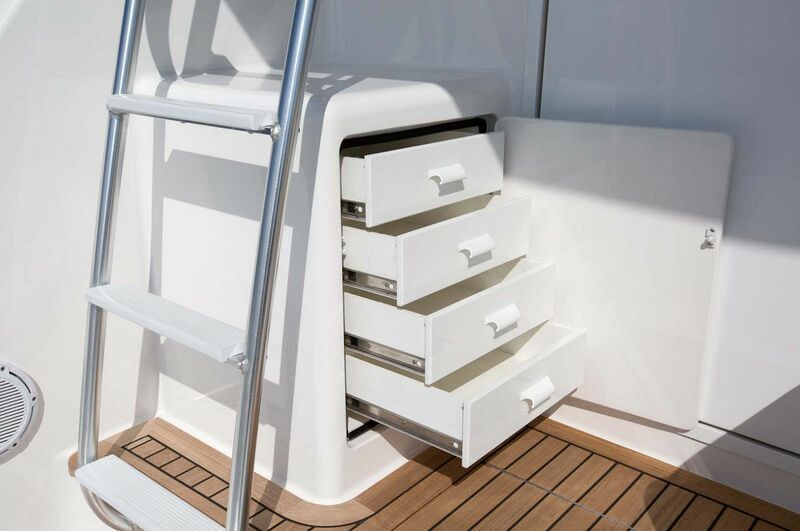 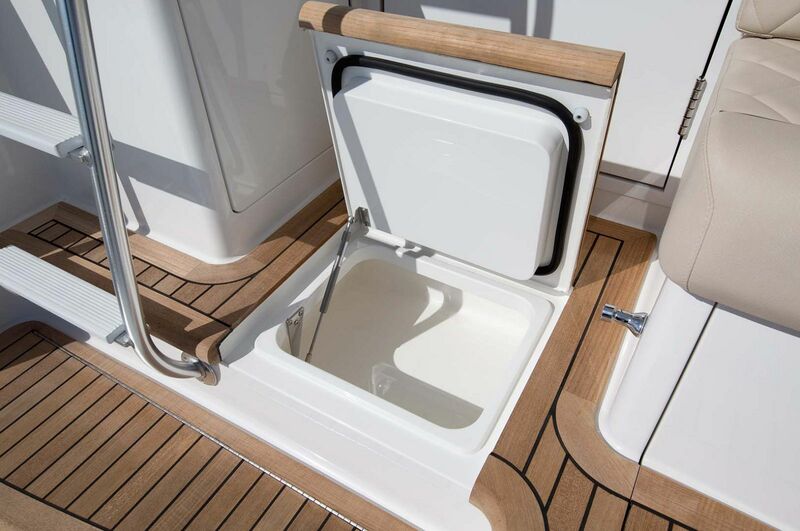 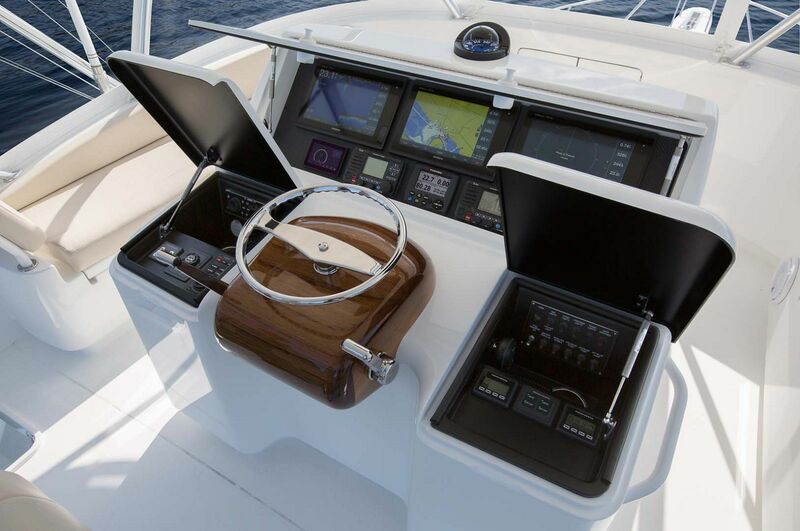 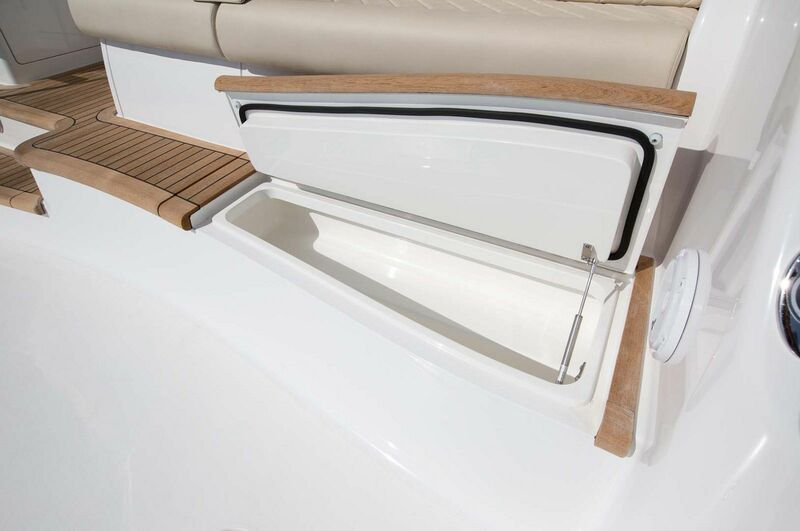 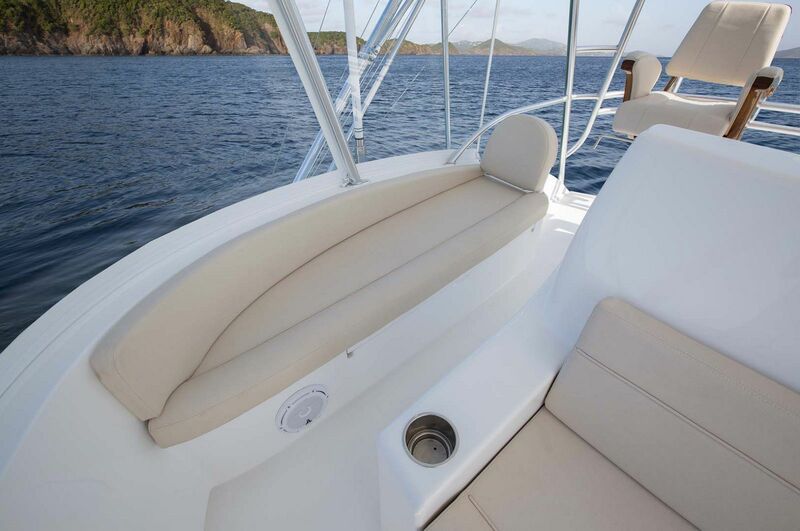 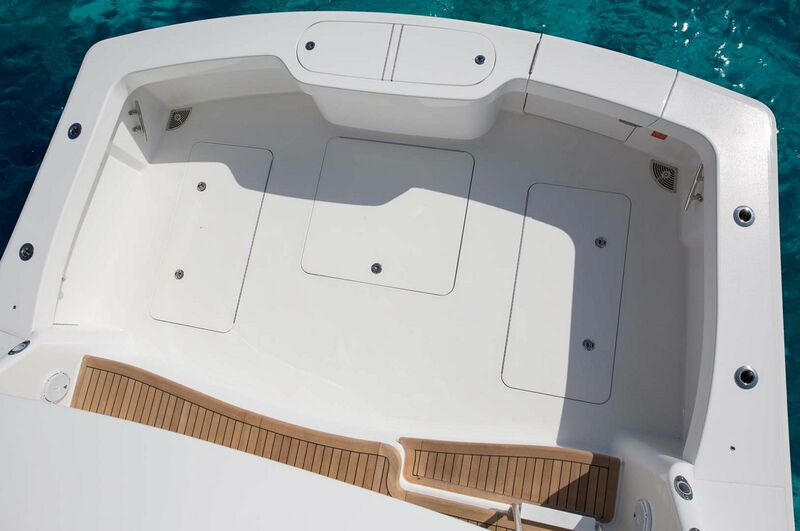 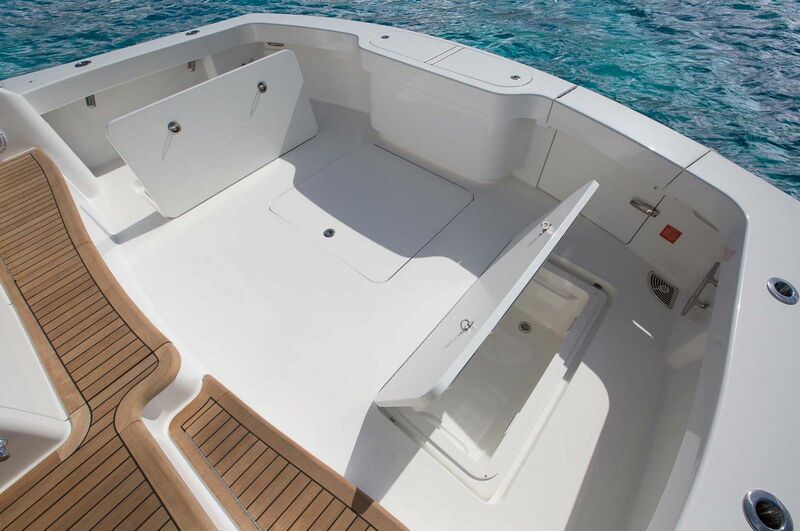 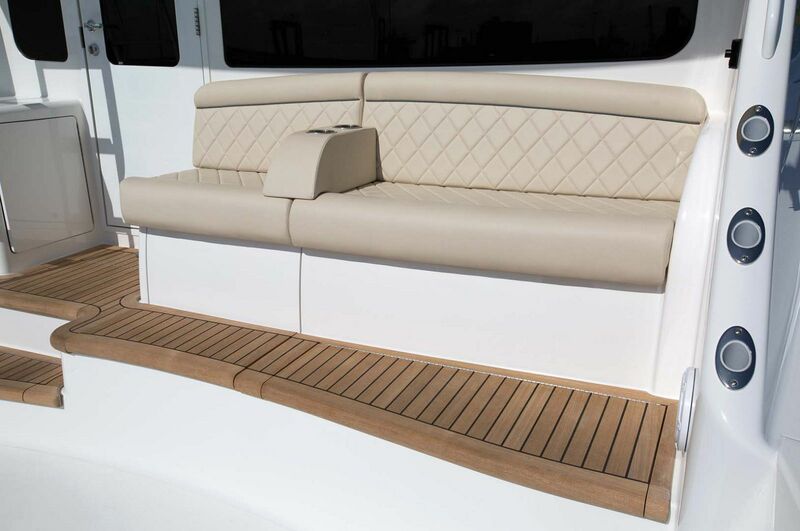 Above the cockpit, the Captain will enjoy the helm on the flybridge which offers amazing control when backing down on a marlin. 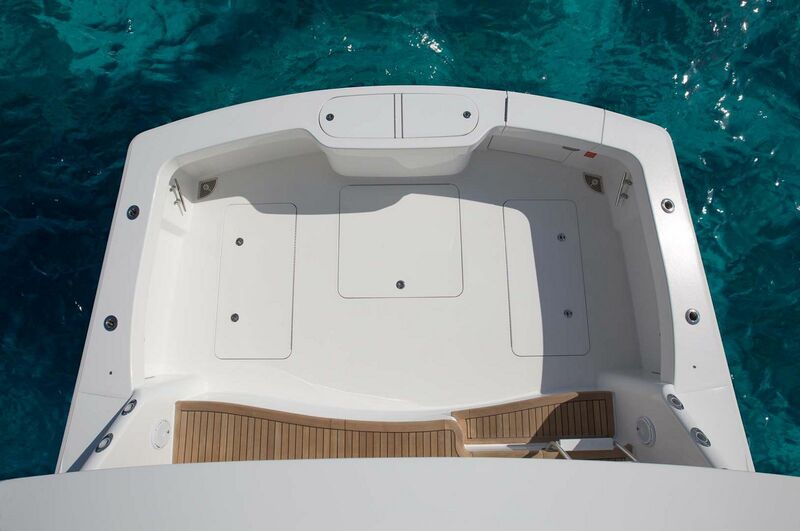 The visibility to the cockpit is excellent and there is ample seating for any guests or crew. 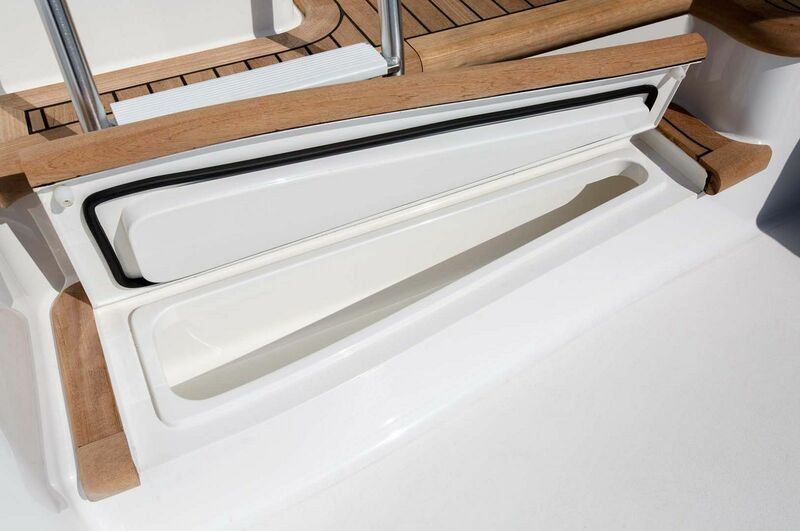 Viking also extended the overhang of the flybridge slightly to give some shade to the mezzanine below it, giving those watching the action some relief from the sun. 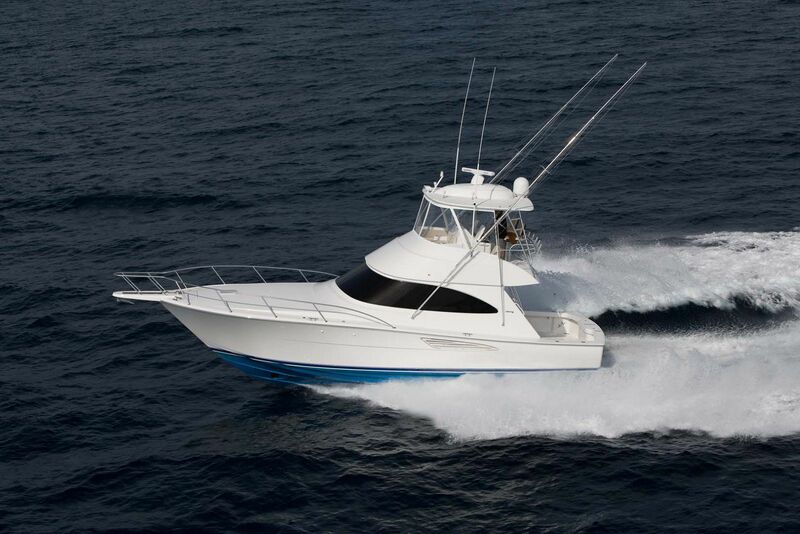 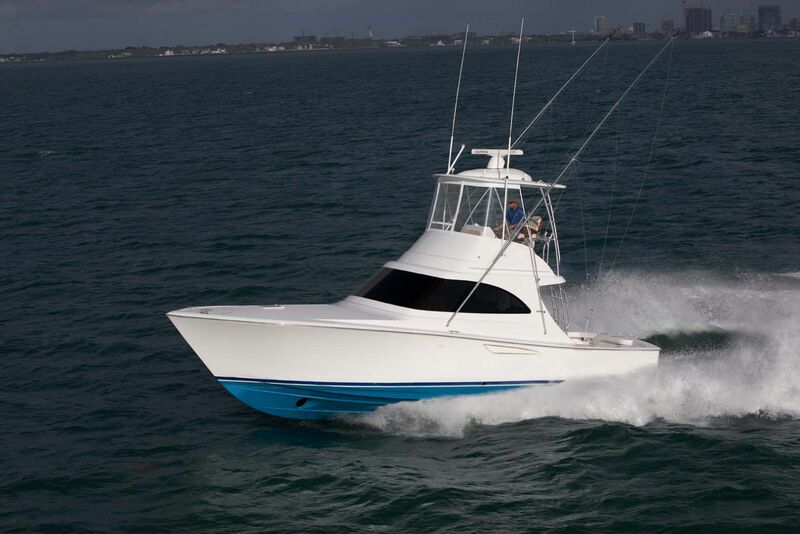 Anglers who want speed in a sportfish will love what the Viking 44C has to offer. 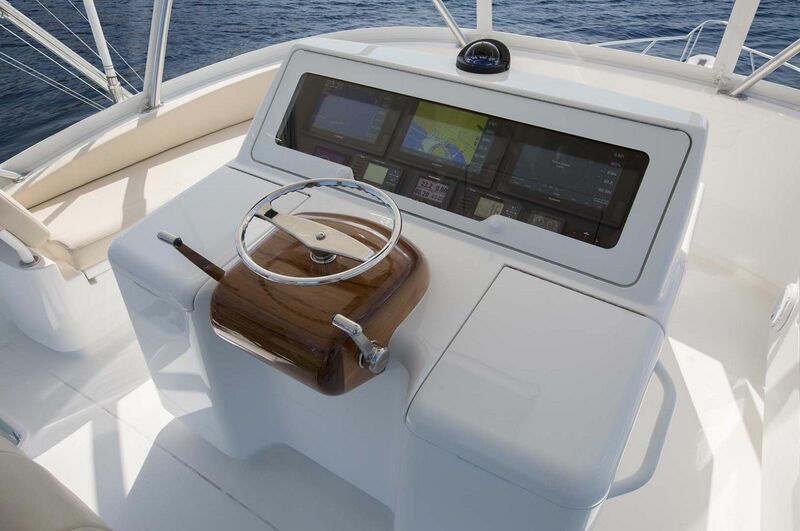 At more than 43mph, the Viking 44 is one of the fastest boats in its class when powered with the optional twin 1945hp Volvo Penta D13 diesel engines. 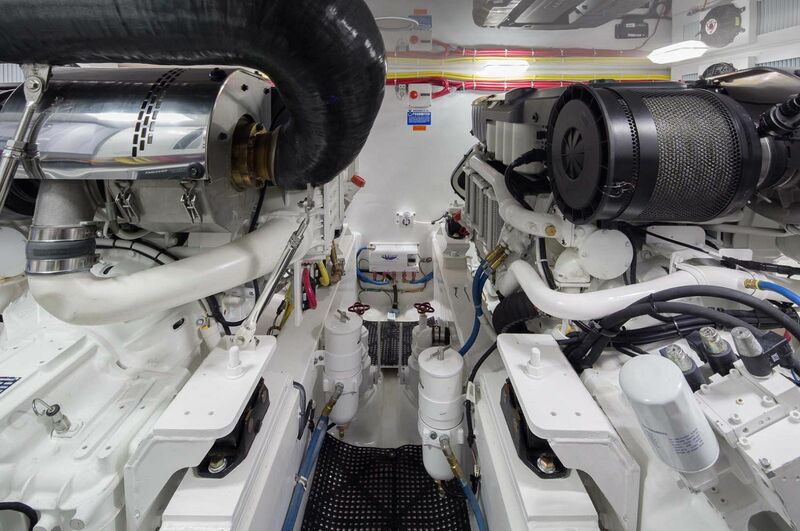 Other power options include the 1000hp Volvo Penta or twin MAN 800hp 6-cylinder engines. 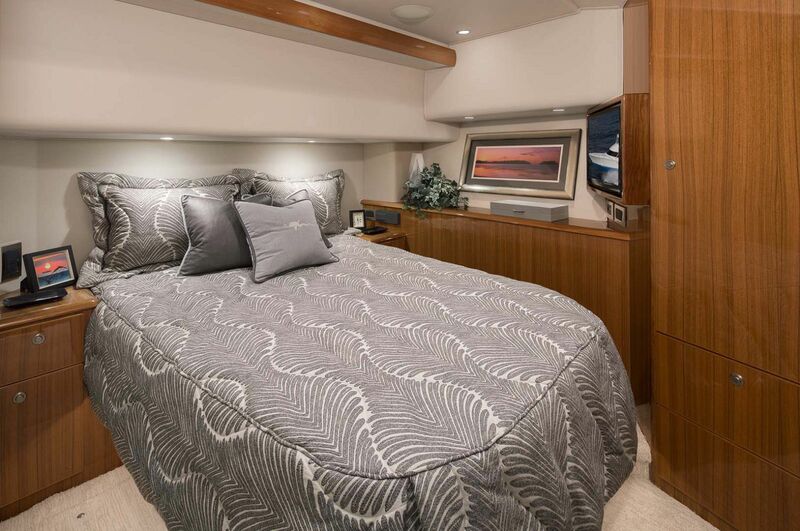 Guests aboard the new Viking 44 Convertible will immediately notice how pleasant the interior salon, galley, and staterooms feel. 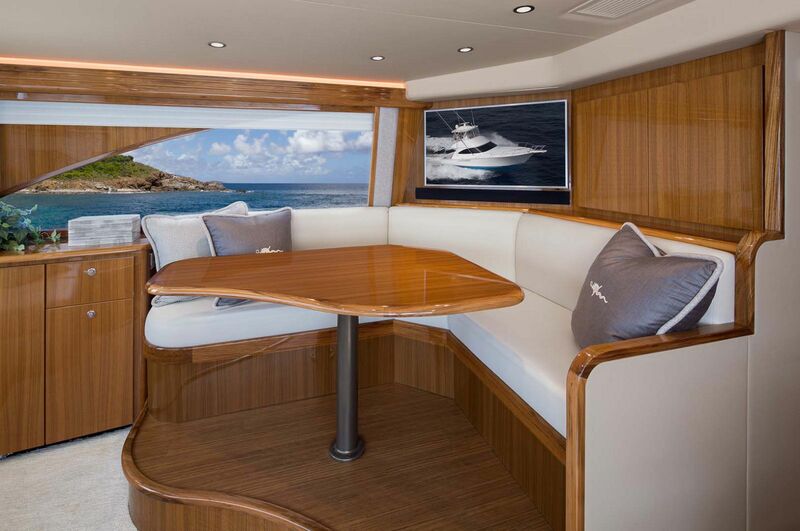 With a beam of just under 17’, the salon is large and well spread out with comfortable seating and dining. 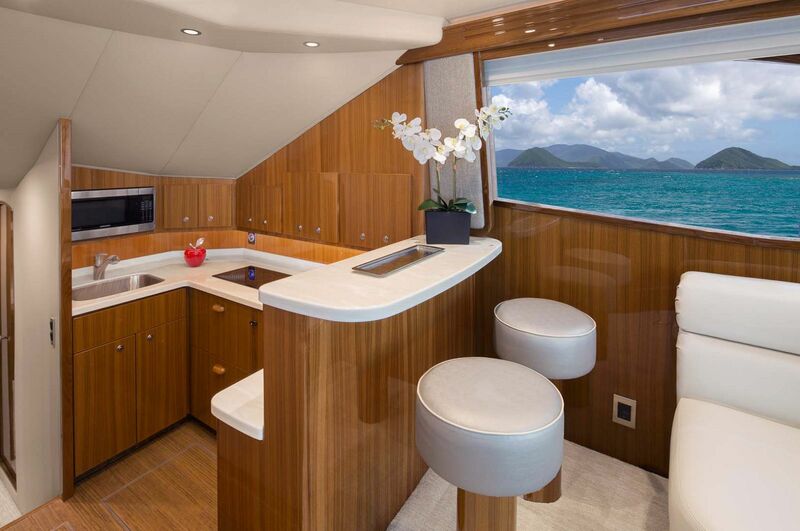 Much of the salon and galley are decorated in a high-gloss teak, including the cabinetry and dinette. 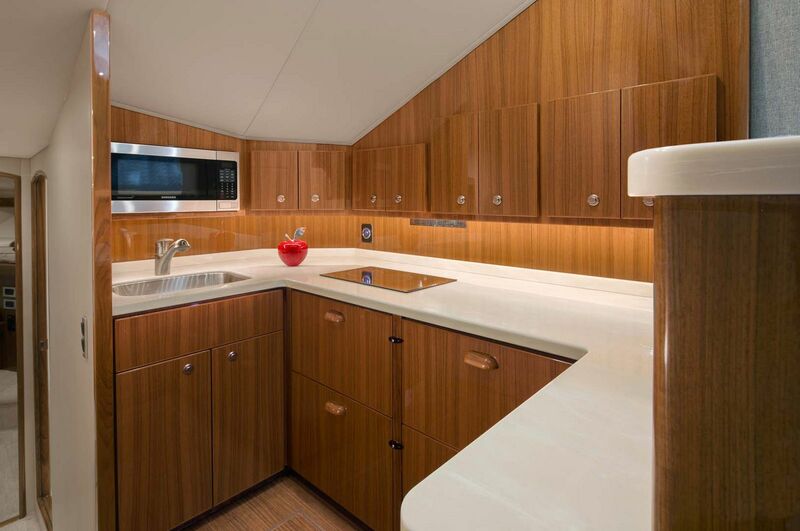 The countertop in the galley is Corian and it features bar stools in the salon to give extra space to sit and eat. 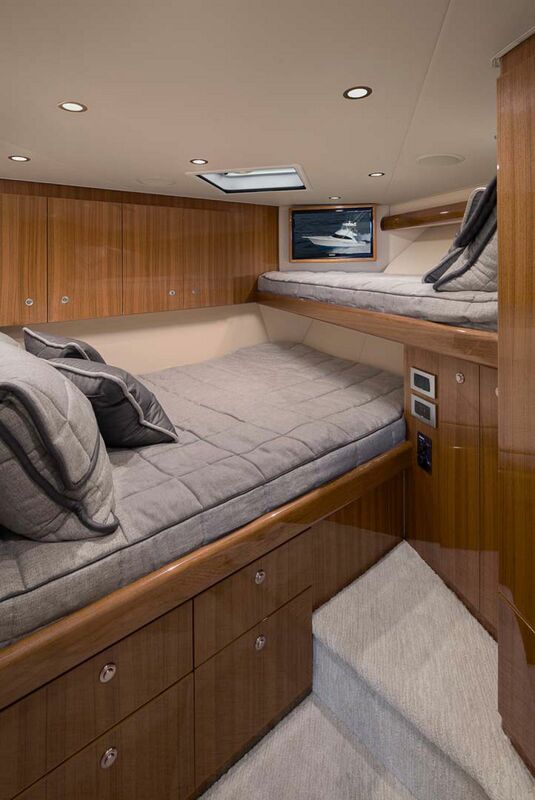 The master suite is portside and features a queen-sized walk-around berth with a maple wood-lined hanging locker and stowage below. 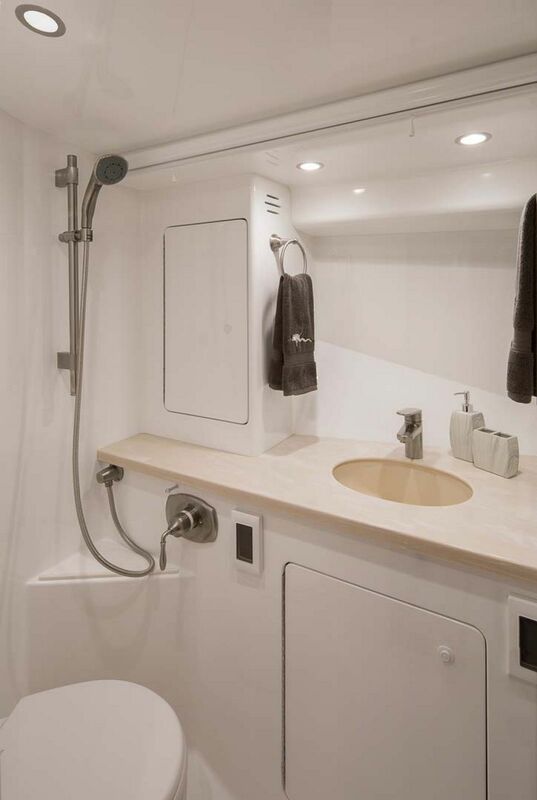 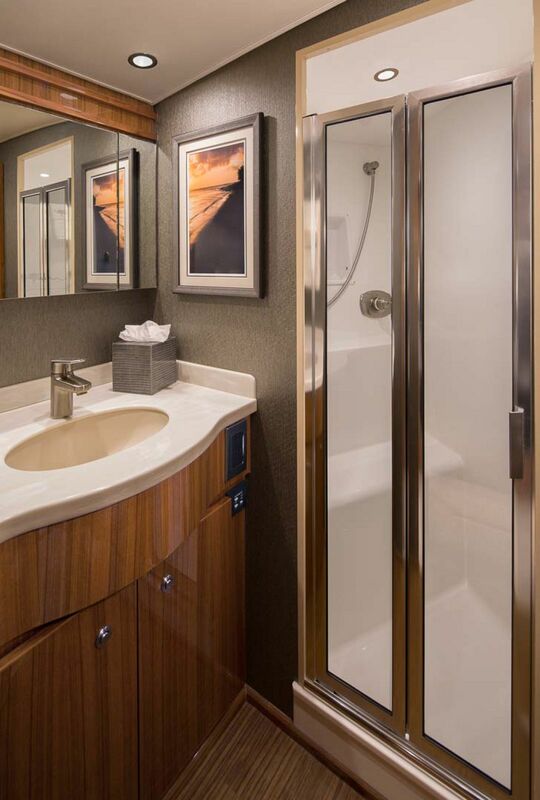 Owners will enjoy the private head and shower stall inside the master stateroom. 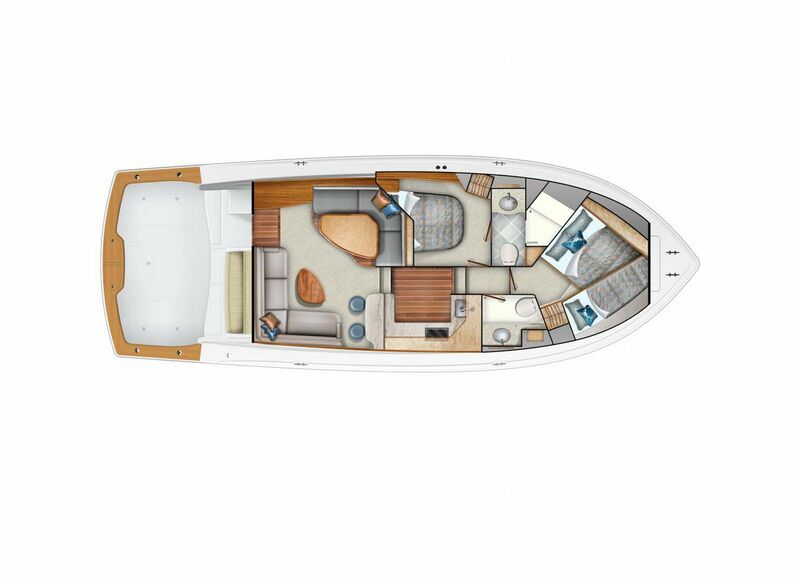 The forward stateroom includes a double and single berth and its own head as well. 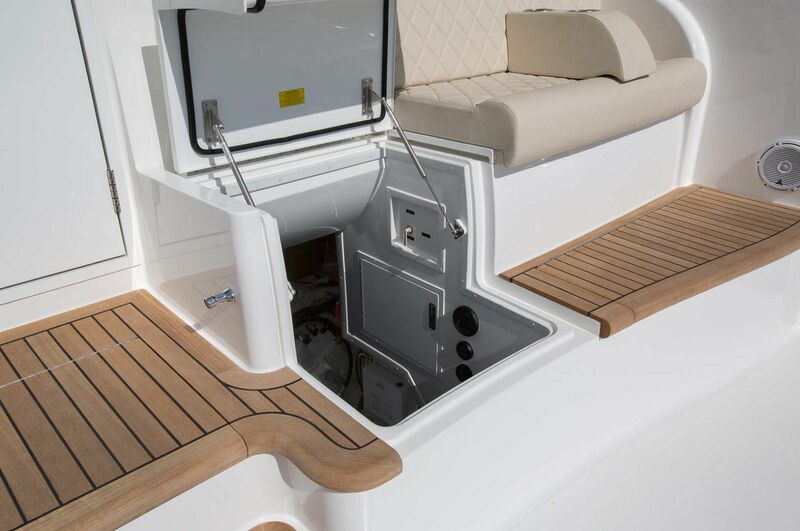 Even though the Viking 44C is towards the smaller end of Vikings fleet that stretches to 92-feet, all of the features of a much larger boat are on board. 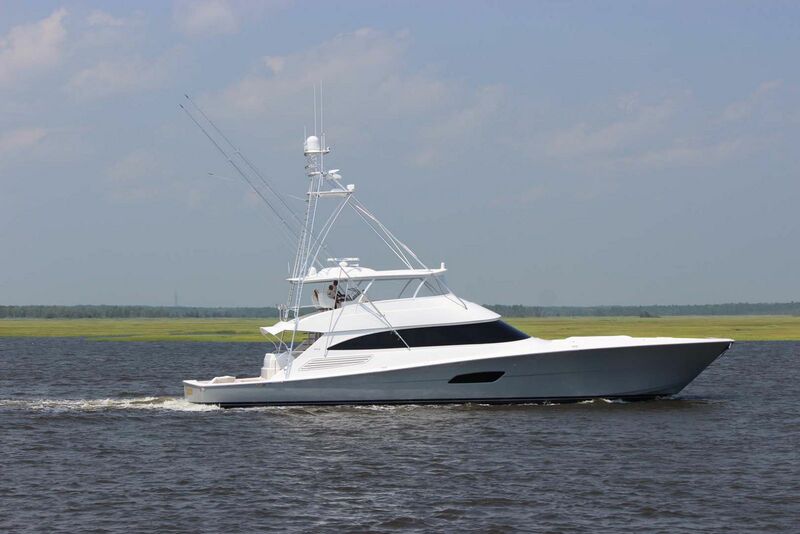 Call your Staten Island Yacht Sales Professional today to learn about the availability of the new Viking Yachts 44 Convertible. 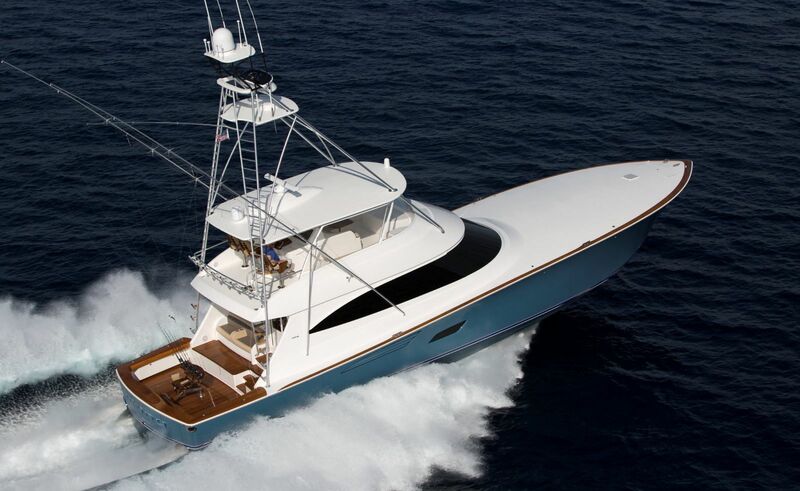 Viking Yachts put together this virtual tour of the 44 Convertible.